Life on Earth depends on healthy and productive land. 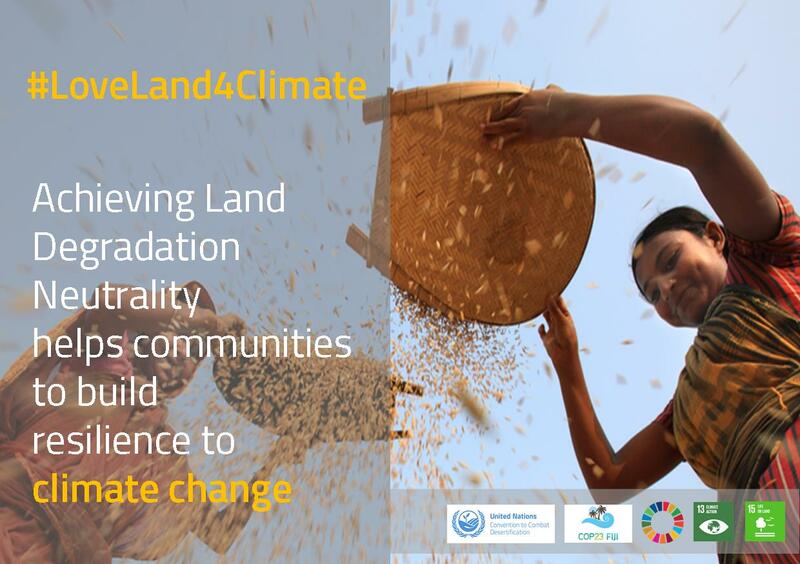 The way we use and manage the land is also crucial to addressing the climate change. 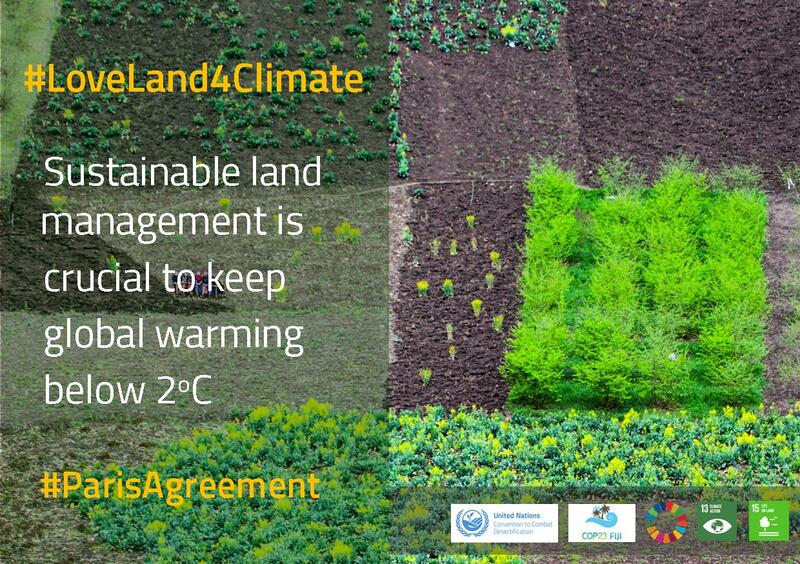 Sustainable land management (SLM) is essential to the implementation of the Paris Agreement and keeping the global warming threshold below 2°C for the next 15 years. SLM practices, such as low-emissions agriculture, agro-forestry, sustainable urbanization and adoption of renewable energy can help close the remaining emissions gap by up to 25 per cent and build resilience to climate change. There is ample scientific evidence that SLM can reduce emissions and that healthy soil is a powerful carbon sink. 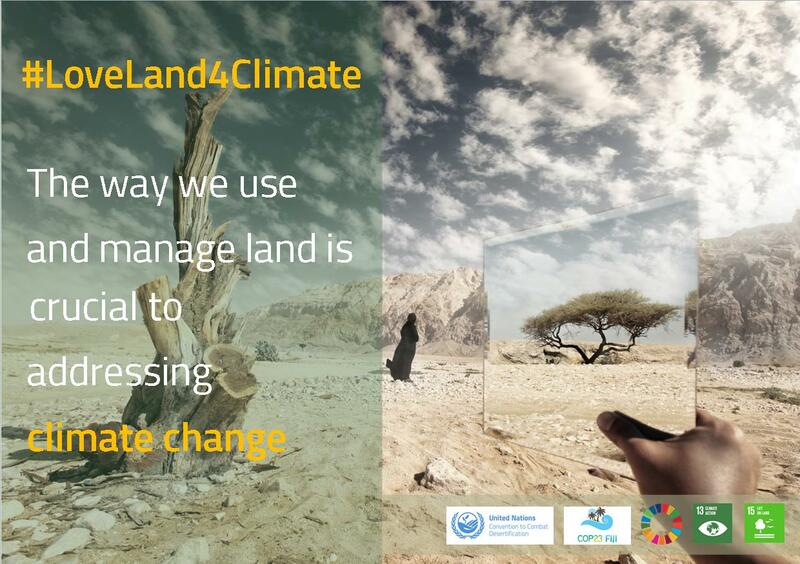 The UNCCD Secretariat joins the momentum towards the UN Climate Change Conference (UNFCCC COP23) that takes place in Bonn this November by launching the #LoveLand4Climate campaign to showcase that it is vital to adopt and implement SLM for climate change mitigation and adaptation. We invite all stakeholders: governments, civil society organizations, non- governmental organizations, academia, private businesses and individuals to come together and take responsibility for how we manage the land – our home, our future. Sign our online petition to show solidarity. Our target is to collect at least 10,000 signatures! Campaign launch is on 14 October 2017 during UN Day in Bonn’s historic Marktplatz.